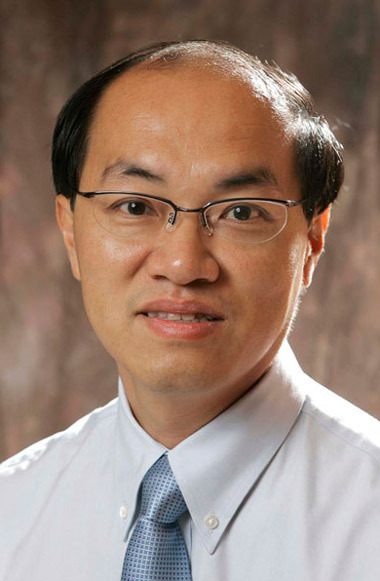 Ruey Long (Kelvin) Cheu, Ph.D.
Ruey Long (Kelvin) Cheu, Ph.D., known as a pioneer in bringing artificial intelligence techniques into the transportation engineering field, has been named a fellow by the American Society of Civil Engineers (ASCE) Board of Direction. "Being recognized as a fellow of ASCE is a great honor," said Cheu, a professor in the Department of Civil Engineering at The University of Texas at El Paso. "The fact that the UTEP civil engineering department, being relatively small in size, already has two ASCE fellows – the other being Dr. (Soheil) Nazarian – is a testament to the department's contributions to the civil engineering profession through high-quality research, education and service." Cheu's teaching and research interests are in the area of transportation engineering. As an expert in international and multidisciplinary education programs, he has created and directed a transatlantic dual master's program at UTEP that integrates transportation-engineering education with industrial engineering, logistics and supply chain training. He is currently directing the U.S.-Mexico faculty-led, bidirectional study abroad program on smart cities. He has published more than 73 papers in international peer-reviewed journals, and his research articles have been cited over 2,800 times. He is now the editor-in-chief of the International Journal of Transportation Science & Technology, and is also a recipient of the Transportation Research Board 2011 Greg Harrington Award for Excellence in Visualization. Cheu earned his bachelor's degree in civil engineering and master's degree in engineering at the National University of Singapore, and his Ph.D. in engineering at the University of California, Irvine. He is a registered professional engineer in the State of Texas.